The government’s smart meter roll-out has hit a problem. A lack of investment in training and a breakdown in communication has resulted in a huge shortage of smart meter engineers. This year has seen the start of the Government’s initiative to ensure the UK becomes more energy efficient. The goal is to fit 53 million smart meters, which monitor both gas and electricity usage, in over 30 million homes and businesses in the UK by 2020. To meet these goals around 11,000 qualified engineers are needed to fit the meters but a significant skills gap in the sector has resulted in a shortfall. There are an estimated 6,500 smart meter engineer jobs still available. Part of the reason is that Smart Meters can only be fitted with permission from the energy firms. In general, only larger companies are employing and training smart engineers. This has come as something of a surprise to the industry as becoming a smart meter engineer has few pre-requisites and no previous experience is required to take the training. Logic4training is often inundated with calls from people looking for Smart Meter training, many of these are on an individual basis. We can offer advice on who to contact but we do not offer Smart meter training for individuals as training individuals would not necessarily lead to guaranteed work (not without permission of the energy providers). We are currently training Lowrie Beck Smart Meter engineers on a monthly basis but our facilities in Northolt can accommodate more trainees. 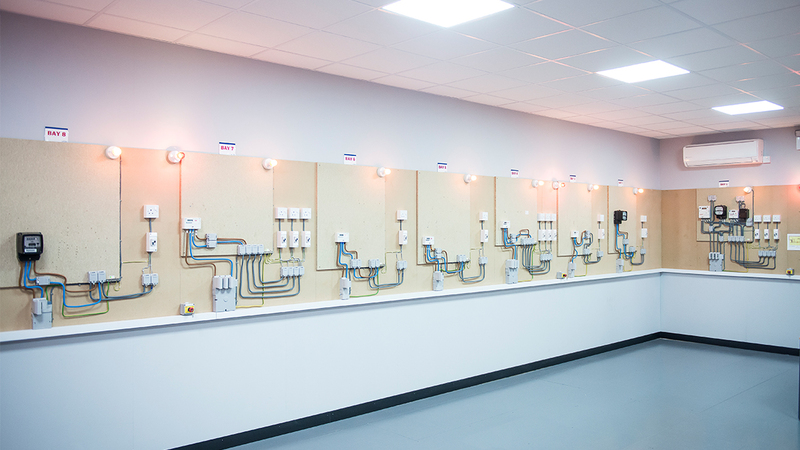 Our on-site facilities include a special “Smart Meter Room” which is tailored to the requirements of our clients. If your company has permission to install smart meters and you need to get your employees trained, contact Logic4training today, we would be happy to accommodate you. For more information on Smart Meters, including useful links – Click Here.